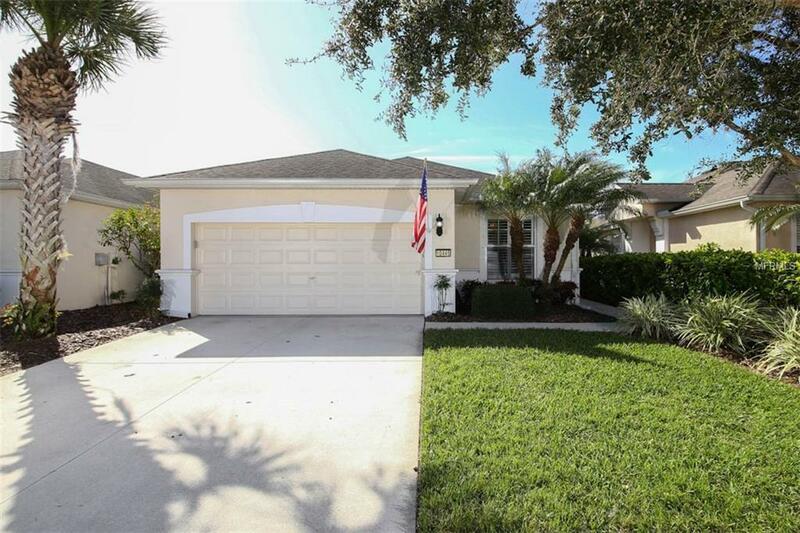 You'll love this quiet and spacious home in beautiful Harrison Ranch! Villa is in a private, gated section known as Normande West. This beautiful, well-appointed home sits on a preserve with a large, tranquil backyard. Preserve views are found throughout most of the home, with large glass doors and easy access to the lanai from the living area. The look and feel of the interior and all rooms is equal to homes much larger. This home features new high-end hardwood-simulated vinyl plank laminate flooring and a beautiful kitchen with quartz counter tops and upgraded appliances. You'll also find custom built-in shelving in the den and plantation shutters throughout the home. Home has a 2 car garage with high-end epoxy flooring and room for work benches and extra storage. The A/C has 10 years remaining on the warranty (includes labor) and the water heater is only 2 years old! Enjoy living in an all-inclusive, carefree community where everything outside of the home is maintained, giving you plenty of time to enjoy the recreational activities of the community and surrounding area. Located in the quiet community of Parrish, but only minutes from restaurants, shopping, golf courses, water activities and marinas. Hurry, at this price range this well-appointed home will not last long! Schedule your showing today! Additional Lease Restrictions No More Than 30% Of Villas May Be Leased At A Time. Please Verify Leasing Restrictions With Management. Pet Restrictions Common Household Pets Are Allowed. Leash Law. Please See Hoa Docs For More information.